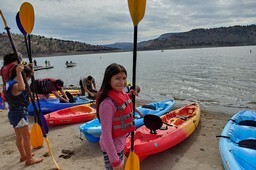 Celebrating Prineville Reservoir’s 20th Annual Star Party with FREE Guided Kayak Tours! Tour length: appx. 2 hours; includes check-in, safety talk, instruction, tour and check out. 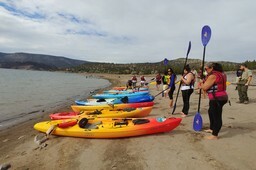 Minimum age: Children 6-11 may ride with an adult in a tandem kayak, 12- 17 may ride in a single kayak. ALL children must be accompanied by an adult. 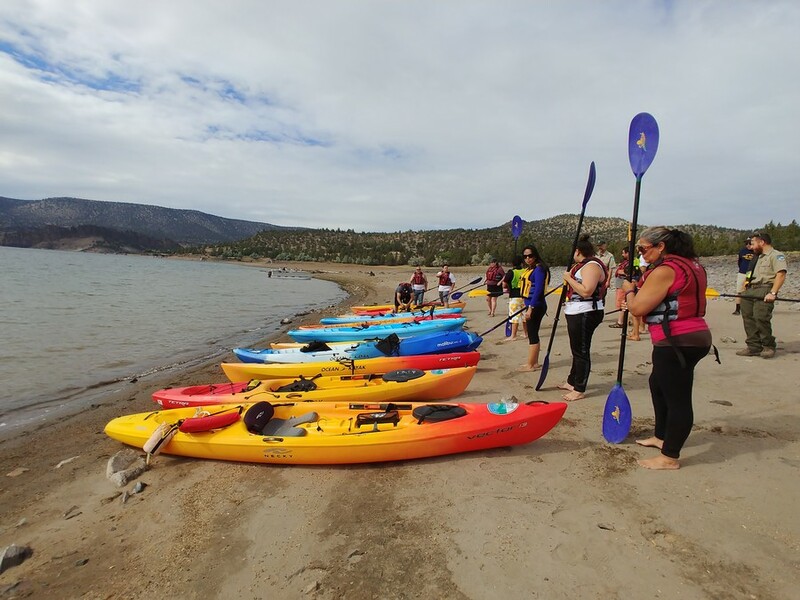 Description: Paddle with our interpretive ranger and volunteers, learning about local geology, area history and the plants and animals of the High Desert. Kayaks, paddles and PFDs provided. 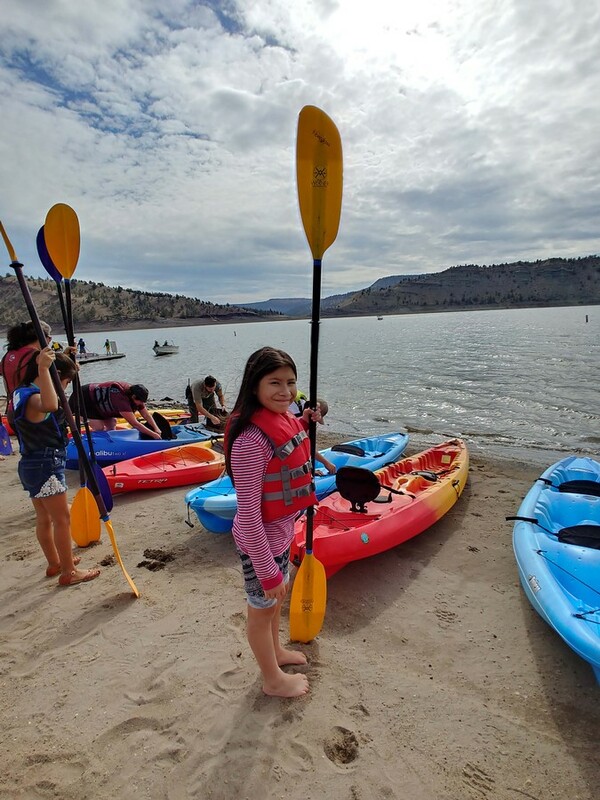 You may use your own personal flotation device if you prefer, as long as it’s a Coast Guard approved Type 3 or 2 personal flotation device in good condition. How to Dress – Lake water will likely be chilly at this time of year. 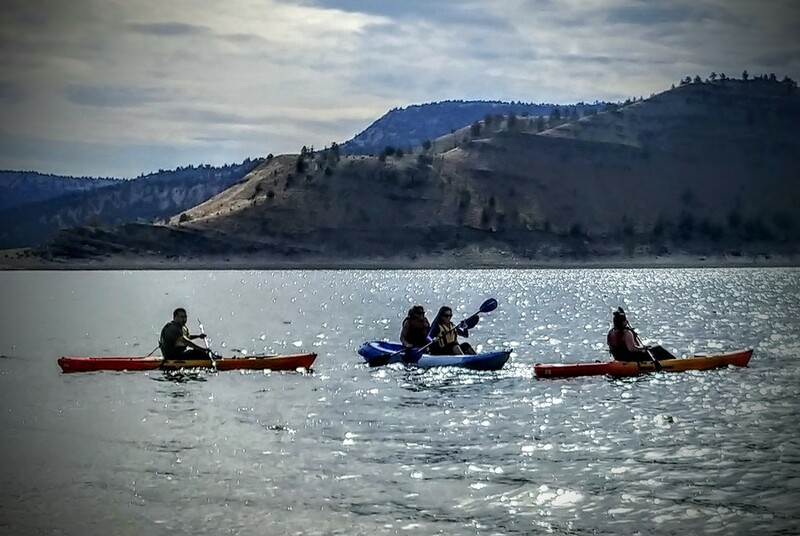 You don’t need to buy special clothing to paddle, but a little planning will keep you a lot more comfortable. Layered clothing is best. Several thin garments will keep you just as warm as a single thicker one, and are much more versatile as you can always add or subtract layers . Think about staying cool as much as staying warm. Avoid cotton, denim, and any heavy boots or clothing that restricts your movement. Expect to get a little wet. SMART TIP: bring extra clothing, shoes and a towel – just in case. Bring: signed waiver form, footwear that can get wet, sunhat, sunscreen, sunglasses and camera, if you dare. Good idea to also bring lightweight snacks and a water bottle. Need to cancel? : If you do, please cancel your event registration online BEFORE 12 noon on Wed, 5/1.